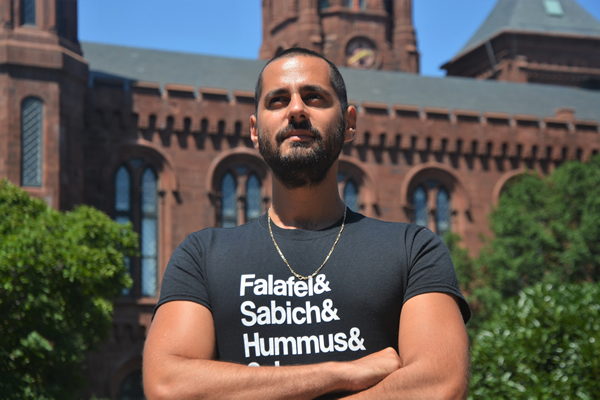 Itsik Sayag came to Washington 10 months ago to work as a Shaliach (an emissary) with the Jewish Federation of Greater Washington’s Shlichim Program. He’s one of 16 here in a program that places young Israelis in Jewish congregations in the D.C. area to teach American Jews more about Israel from first-hand perspectives. Sayag is just starting his second 10-month term and is now at the Beth El Synagogue in Bethesda and with the Charles E. Smith Jewish Day School in Rockville, Md. This summer he was a summer counselor at a local Jewish camp. While visiting area schools, he talks with students about gay rights, coming out in Israel, disability rights, society, food and pop culture and helps them with their Hebrew. Sayag has enjoyed noting the differences between gay life in Washington and his native Tel Aviv. He also says Tel Aviv has “a ton of gay people,” so it’s not unusual there. Sayag, a 29-year-old Tel Aviv native, is single and lives in Bethesda. He enjoys swimming, reading, foreign films, language study and reading in Meridian Hill park in his free time. I came out when I joined the Israeli army about 11 years ago. As weird as it sounds, the Israel Defense Forces is super gay friendly. My mom was the hardest person to tell. Dana International. She is an Israeli transgender singer who won the Eurovision Song Contest. She’s the most colorful, stunning and joyous person. I’m still working on finding a groom, but the guest of honor is my mother and my rabbi at Beth El Congregation in Bethesda, Md., Greg Harris, will officiate. Sephardic Jews in Israel and everything that is happening in Syria. My parents grew up there and it’s breaking my heart. The assassination of Prime Minister Yitzhak Rabin. In the 1990s, the Israeli children’s channel was heavily influenced by Latin America. When I discovered XUXAׂ (Shusha), the children’s star from Brazil, it was the most significant pop moment of my life. A video of my campers (I’m a counselor) at Camp Ramah D.C. practicing their Hebrew. You are amazing. Keep going! Every day you live, you make history. My own apartment in Tel Aviv. Shopping at Costco, even though they have a huge department of kosher meat. When I was in 10th grade I participated in a French talent competition on behalf of the French Embassy in Israel and won three weeks all-inclusive in Paris. The guy who won the prize with me was a presenter at MTV three years later. When I was 18, I was a soldier. I think I knew too much. Nice Jewish boys. And the incredible community I have built here through the Jewish Federation of Greater Washington.